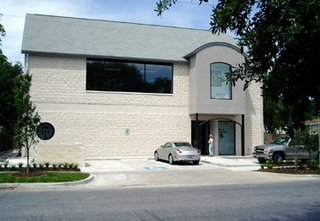 Founded in 1975, the Watercolor Art Society – Houston (WAS-H) is a non-profit organization with over 500 members. For over 30 years, WAS-H has brought the excitement of water-media to the greater Houston area with outstanding exhibitions, world-class instruction and dedicated community outreach. Year-round opportunities are provided to every level of painter, from novice to the seasoned expert. Art lovers can also enjoy year-round exhibitions in our gallery in the Museum District. Major Exhibitions are sponsored twice annually. Each October, the WAS-H Annual Membership Exhibition is hosted. The Annual International Exhibition is hosted in late spring and attracts entries from all over the globe. WAS-H signature membership opportunities originate from this exhibition. Nationally recognized jurors are invited to judge and select from entries the paintings to be exhibited. WAS-H Monthly Membership Shows are featured at WAS-H's own gallery space, 1601 West Alabama in Houston's museum district near the Menil Collection. Members have an opportunity to submit work in watermedia each month, offering the community opportunity to view and purchase contemporary art. Gallery hours are Tuesday-Saturday, 10am to 3pm.